New retailers are set to open locations at Southlake Town Square including Lush Cosmetics, Johnny Was and TravisMathew, which are expected to open in early 2019. The 130-acre open-air mixed-use development has some 120 specialty shops and restaurants. 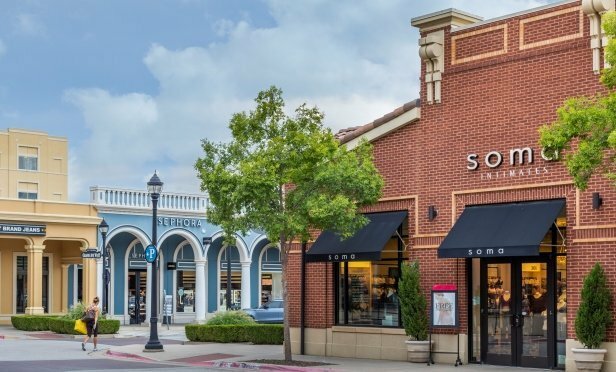 SOUTHLAKE, TX—Southlake Town Square is owned and operated by a subsidiary of Retail Properties of America Inc. It is a 1.4 million-square-foot regional shopping destination serving more than 2 million shoppers within a 5-mile radius who have a median annual household income of $190,000, GlobeSt.com learns.